It's back to school time! There are a few little things that parents and students should keep in mind regarding taxes and this special time of the year. Louisiana offers a potential credit for school related expenses for kids enrolled in grades K-12th. The first $5K you spend for each child's uniforms, textbooks, tuition and fees, and school supplies qualifies for this credit. Those are the different categories that we will ask you to provide totals for, so please don't just say, "Oh, yeah, I spent $200 on school stuff"--know what you spent by keeping your receipts for all those little expenses (even those penny packs of pencils!). For our younger dependents, remember that fees paid to someone/school/church/etc to watch your kids (birth-preK) may be deductible if you and your spouse both work or are full time students. Remember that in addition to letting us know how much you've paid for childcare, you will also need to tell us the caregiver's phone #, address, and TIN on the tax form, which may not be hard to get from a daycare center, but may be close to impossible to get from that nice little retired lady you pay cash to whenever she watches your kids! For our older kids in college: There are credits available based on qualified college expenses. Important to know is that these qualified expenses are out of pocket costs related to tuition, lab fees, other administrative fees, textbooks, and school supplies. Things like laptops, lab and art supplies, bookbags, binders, notebooks, paper, ink, and toner for a printer, calculators, handbooks, etc. all qualify. Costs like internet subscriptions, periodicals, association memberships, etc may qualify if they are a requirement for the student to complete the course or the curriculum. Finally, all this talk about "students this, and student that" reminds us about those souls who have no hope of ever leaving school unless something drastic happens in their lives (like retirement, losing their jobs, or winning the lotto)---we're talking about teachers, of course!! Yes, our dear teachers and teaching assistants who help mold America's future minds still get that $250 teacher's deduction right there on line 23 of the 1040 return for the first $250 they spend on unreimbursed school supplies. Anything they spend over the $250 get deducted as miscellaneous deductions on schedule A. Whether you're a parent, student, or teacher, you must save the receipts to prove to IRS that you actually spent that money. If you happen to be a student reading this...don't forget to be nice to your teachers and to each other---we're all on this ride together and you want to remember your days as a student in a positive light--not as your worst years ever! Sometimes it may not seem like it, but you have the power to make your life as close to perfect as you envision--only you can place limits on yourself. Treating everyone with respect is a great lesson that's easy to remember and sometimes hard to follow. Keep at it, though, and soon it'll come naturally to you and you'll see what a BIG difference it makes in your life. 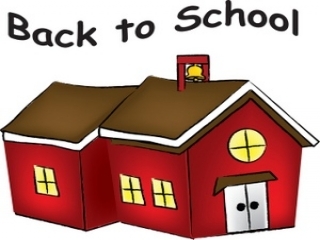 Good luck in the 2015-2016 school year! !